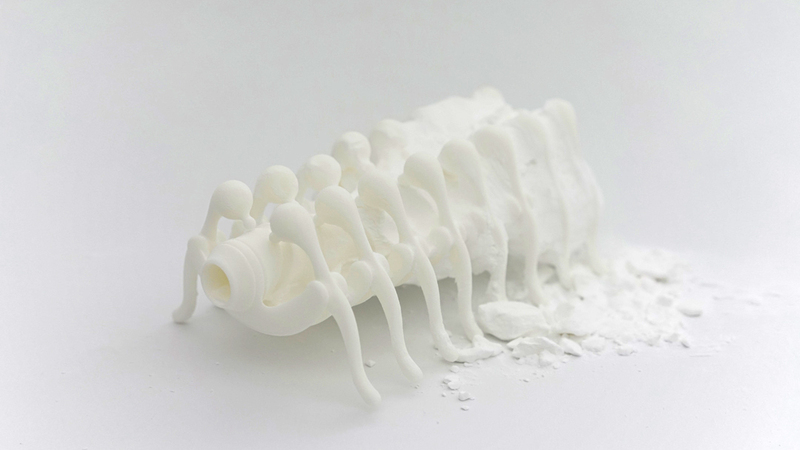 Creature-like groups of machines made by 3D printing. By printing all the parts other than the motor as a single, connected object, the machines are born in a completed form, like creatures. 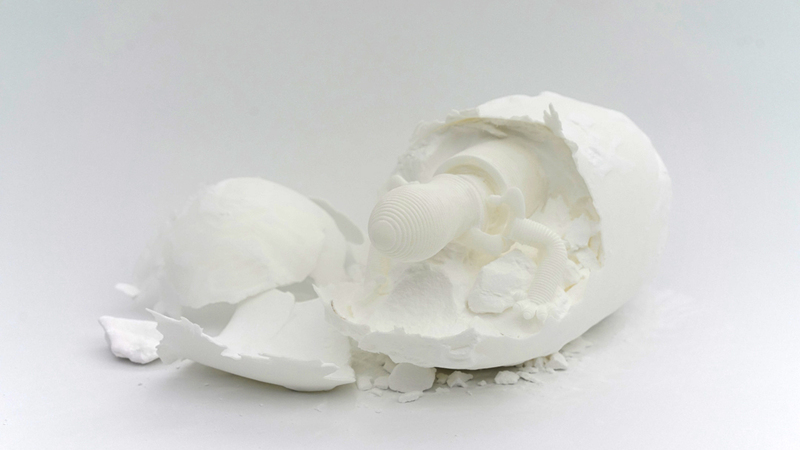 After Selective Laser Sintering 3D printer prints the machines, excessive nylon powder is removed. They begin to crawl after a motor is inserted. It is said that 3D printing has low molding precision and is generally unsuitable for manufacturing mechanisms. 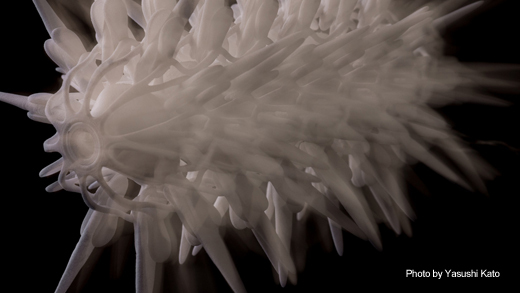 However, in this project we discovered that by using the features of 3D printing, such as complex curved surfaces and flexible structures, it is possible to get creature-like movement such as "smoothness" and " flexibility" from a rather simple transmission mechanisms. 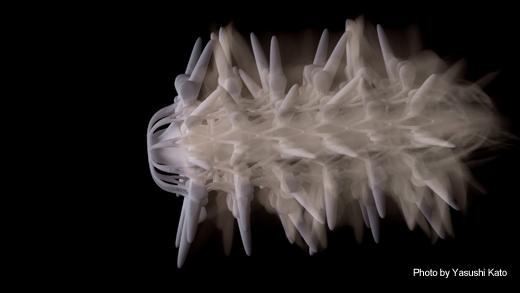 By combining these mechanisms using CAD, they are developed into creature-like groups of machines with diverse movements. 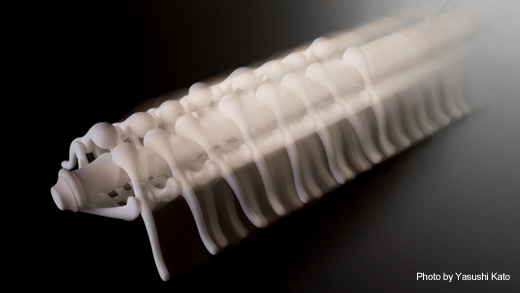 This work shows the possibility of " the Design of Motion" in 3D printing and, at the same time, evokes future machines that are born ready to crawl like creatures. Models are made by 3DCAD (Rhinoceros) and printed by a Selective Laser Sintering 3D printing machine (RafaelⅡ550, Aspect). After printing, excessive nylon powder is removed and a motor is inserted and the robots begin crawling. He carefully examined the characteristics of 3D printers and I love how this entry beautifully creates biological mechanisms that "can only be made with it". 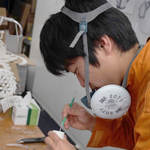 Furthermore, the 3D printer R&D community has long shared a common dream that one day we would see 3D printed matter independently walking about right before our eyes. This entry is a great achievement and one step in the direction of realizing this dream.